Joe tries to prove to Mia that he has a ‘romantic bone’ in his body and ends up in a national conspiracy. Jeremy ‘hacks’ into the wrong company and gets hauled in by Homeland Security. Mia and Janille work a protection gig for Doug and almost drive him crazy. Bob Morse is once again amazed that law school never prepared him for someone like Joe. Ida May is overworked. Billy is having some romance issues of his own. Extortion is in full bloom. Another romp in paradise! 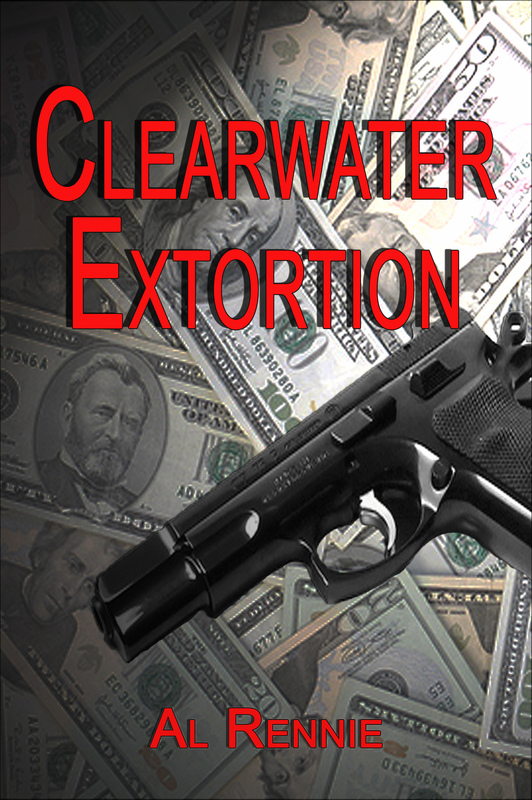 Pingback: Clearwater Extortion now available. | Al Rennie. Masterfully written. I wonder how you think all of the details up. My favorite part? About the pilot (I think it was the pilot) reading Clearwater Danger! Thanks, Al for doing what you do.